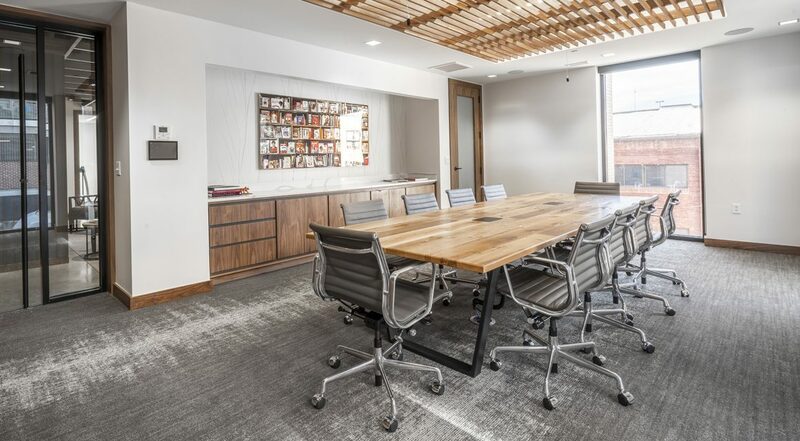 As this Charlottesville based asset management company’s lease was coming to an end, they were excited to move to a new building being constructed around the corner. 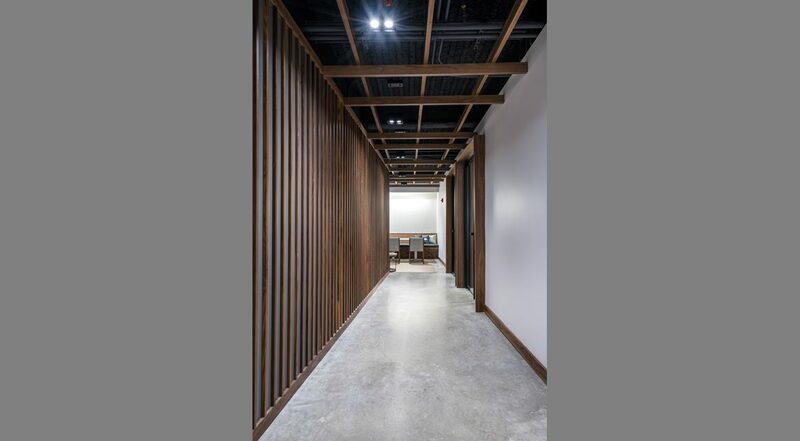 The design challenge presented on this project was how to translate the charm and richness of their existing space’s material palette, exposed timbers & brick, with the new chic and modern building they were moving into, all while remaining authentic to the new building’s design. 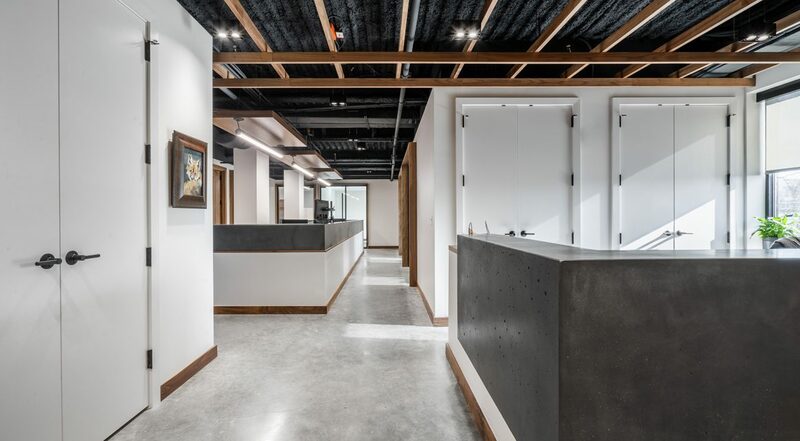 High quality finishes and design were implemented to underscore the high levels of investment the firm deals with and connect with clients. However, it was also imperative that we convey a sense of comfort and approachability indicative of Foxhaven’s culture. 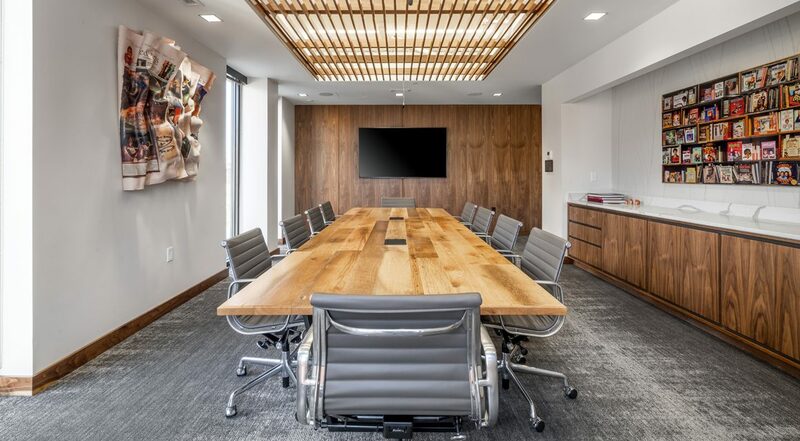 To help balance the refined look of walnut panels, we used local craftsmen to create concrete countertops and select pieces of reclaimed wood furniture. 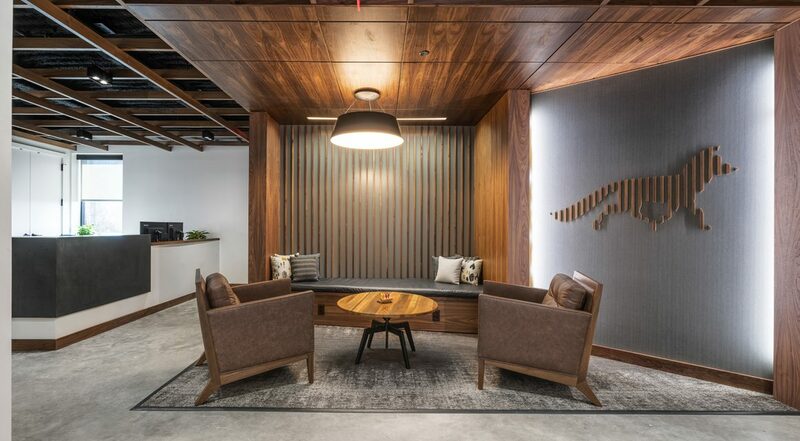 Exposed ceilings and concrete floors aided in keeping the space feeling open and bright, while letting the walnut be the feature. 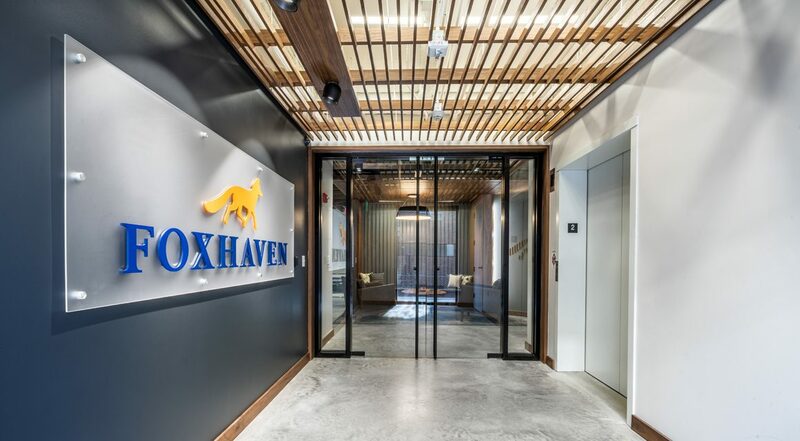 The design team employed a research-based design and planning approach, incorporating best-practices from Foxhaven’s industry peers, in addition to information gathered at their existing Charlottesville office location inform the design process. 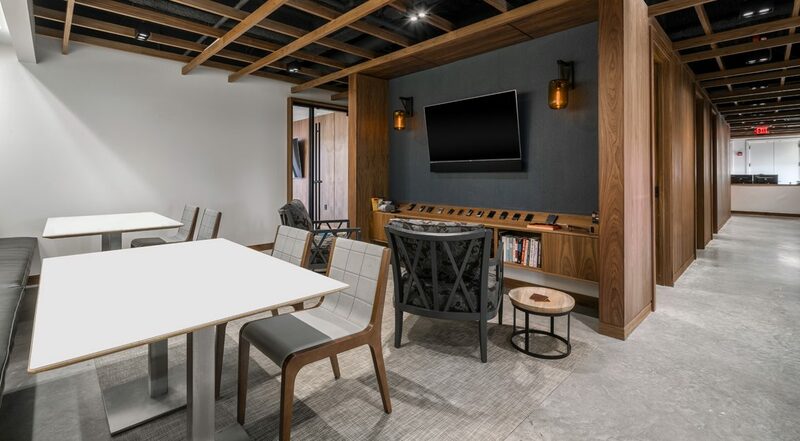 The result is a new workplace that reinforces their brand, attracting top talent while offering a cohesive and high-performance work environment. 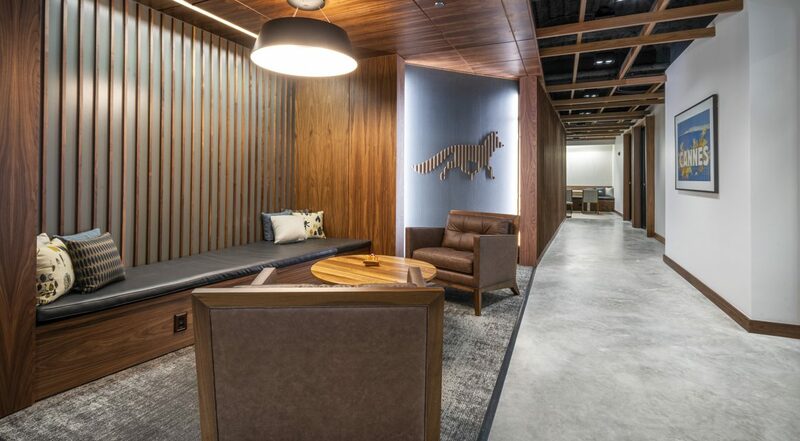 The design brings an elevated experience to not only the employees but to clients as well. SMBW worked as design consultant with BRW architects as the local architect of record.